We offer beginner to advanced level across many different disciplines. This course teaches the basic marksmanship fundamentals, firearm safety using a simulated pistol and laser to indicate where the shots hit. No range is needed with this simulator course. 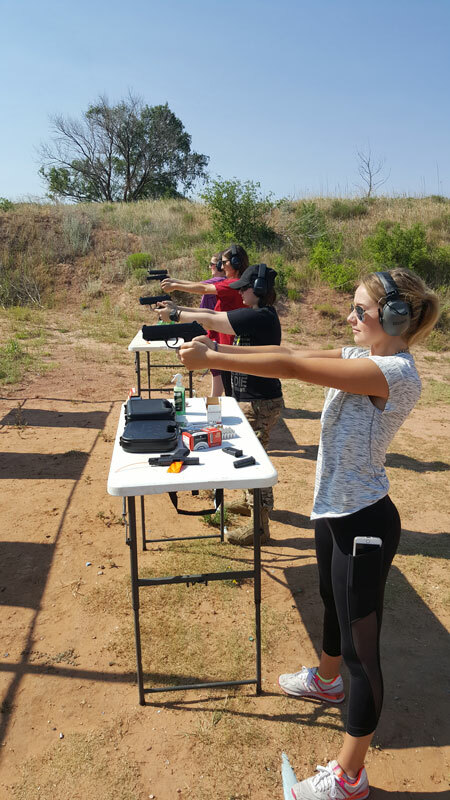 Students learn the fundamentals of sight alignment, trigger control, grip, and breath control. Students may attend this course to decide whether or not they would like to follow-up by taking the full length Basic Pistol Course with live fire, or simply learn to improve their marksmanship skills. The NRA Basics of Pistol Shooting course is intended for all individuals regardless of previous shooting experience and is available in two ways. One is the traditional, instructor-led course where you will receive direct instruction from an NRA-certified instructor from beginning to end. The other has two components: a self-study (eLearning Module) which is completed online in your own timeframe and a hands-on practical portion conducted in a classroom and shooting range with an NRA-certified Instructor. 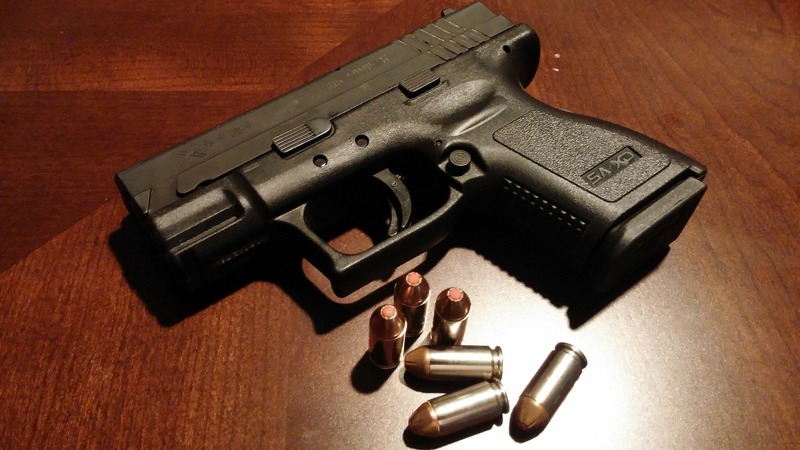 Course topics for both include: gun safety rules, proper operation of revolvers and semi-automatic pistols, ammunition knowledge and selection, pistol selection and storage, shooting fundamentals, pistol inspection and maintenance, marksmanship, and shooting range safety. Students will complete live fire training and a nationally standardized shooting qualification while on the range with an NRA Certified Instructor. Takes place in a traditional classroom and range environment. This course may be completed in a single day format or over several days with smaller blocks of instruction. This blended format provides students with the flexibility to complete a significant portion of the course in an eLearning environment, prior to arriving for the classroom and range sessions with an NRA Certified Instructor. The instructor will provide you with a Course Control Code and directions to complete the self-study portion of the course prior to the class date. This course includes classroom and range time learning to rifles. Students learn NRA’s rules for safe gun handling; rifle parts and operation; ammo; shooting fundamentals; range rules; shooting from the bench rest, prone, sitting, standing and kneeling positions; cleaning the rifle; and continued opportunities for skill development. Students will receive the NRA Guide to the Basics of Rifle Shooting handbook, NRA Gun Safety Rules brochure, and Winchester/NRA Marksmanship Qualification booklet. This course is designed to provide a hands-on introduction to the safe handling and proper orientation to one specific rifle action type for classes of four or fewer students. This course is at least three hours long and includes classroom and range time learning to shoot a specific rifle action type. Students will learn the NRA’s rules for safe gun handling; the particular rifle model parts and operation; ammunition; shooting fundamentals; cleaning the rifle; and continued opportunities for skill development. This course includes classroom and range time learning to shotguns at moving targets. Students learn NRA’s rules for safe gun handling; shotgun parts and operation; shotgun shell components; shotgun shell malfunctions; shooting fundamentals; range rules; shooting at straight away and angled targets; cleaning; and continued opportunities for skill development. Students will receive the NRA Guide to the Basics of Shotgun Shooting handbook, NRA Gun Safety Rules brochure, and Winchester/NRA Marksmanship Qualification booklet. This course is designed to provide a hands-on introduction to the safe handling and proper orientation to one specific shotgun model for classes of four or fewer students. This course is at least three hours long and includes classroom and range time learning to shoot a specific shotgun model. Students will learn the NRA’s rules for safe gun handling; the particular shotgun model parts and operation; ammunition; shooting fundamentals; cleaning the shotgun; and continued opportunities for skill development.